I was born in 1977, the same year that Star Wars was released; legend has it that I first saw it when I was three months old. I guess you could say that from the very beginning Carrie Fisher shaped what my idea of a woman should be: fearless, strong, independent, but capable of great caring and love. 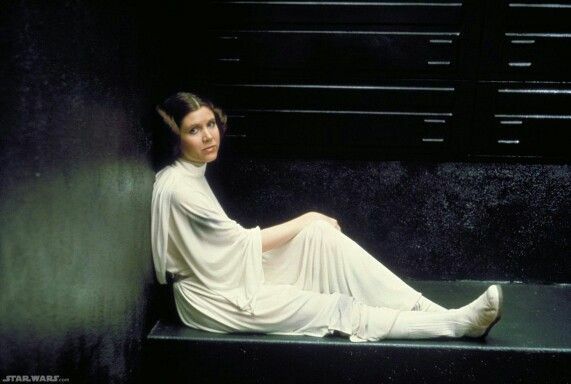 Maybe that is why her death today hits me so hard, because for so many of us who grew up with Star Wars, her portrayal of Leia was the ideal standard of the strong woman. Not to mention the fact that she awoke parts of some of us that were previously dormant when she appeared in the gold bikini in The Return of the Jedi. Of course she was my first crush, that dark hair, smoldering eyes and raspy voice that conveyed that this was not a woman to be toyed with. My heart still fluttered a bit when she first appeared onscreen in The Force Awakens. I remembered the thrill I would get just hearing that she was appearing in any film. Hell, the entire reason I saw The Burbs was to catch a glimpse of her. But as many talented people do, she had her demons; she struggled with addiction and mental health issues. Issues she seemed to overcome then speak out about later on in her life. From the interviews I saw with her, she had a razor sharp wit, but was always engaging and intriguing. She seemed like the type of person one would have a great conversation with over coffee. But alas she is gone, one with the force now if you will. The world is a bit darker of a place now, and my watching of the original trilogy shall forever be changed. Carrie, the world loved you, I can only hope somewhere you are whispering “I know”.